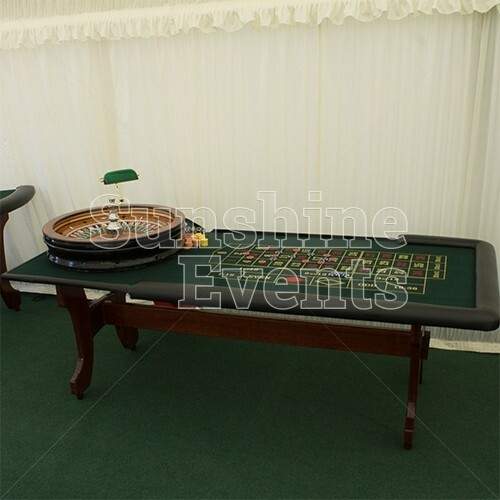 Named for the French term ‘little wheel’, the Roulette Casino Table is one of the most popular tables played at casinos all over the world. 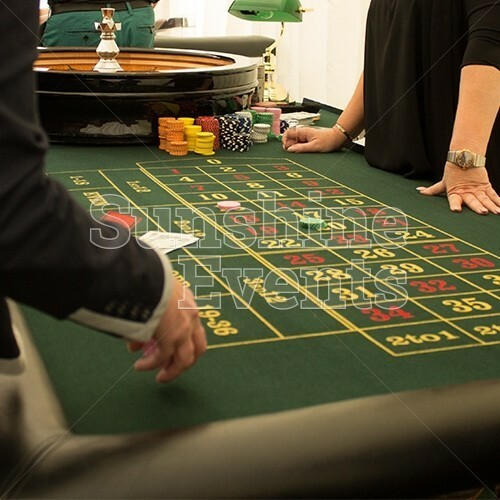 The idea is simple: bet on where you think the ball will land. Yet there are ways to increase your chances and win big. 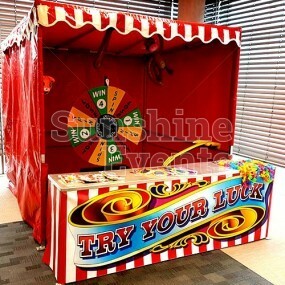 It just takes a little know-how and a lot of luck! 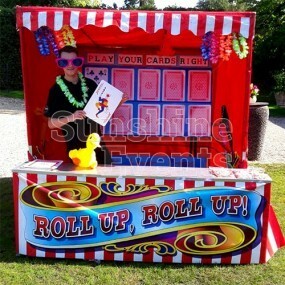 The professionally trained Fun Expert croupier will spin the wheel in one direction and send the ball off in opposite direction around the rim. 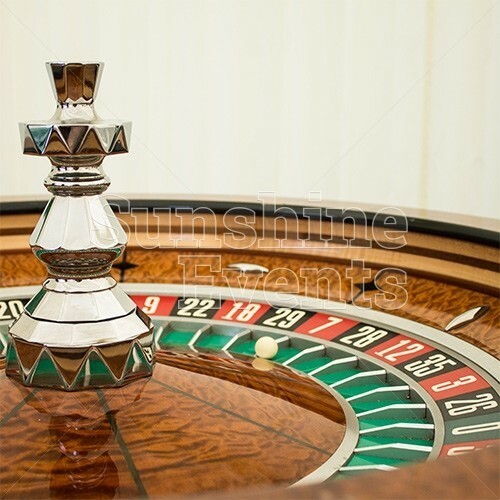 Eventually the ball will start to lose it’s momentum and will land in one of the coloured and numbered pockets on the wheel. 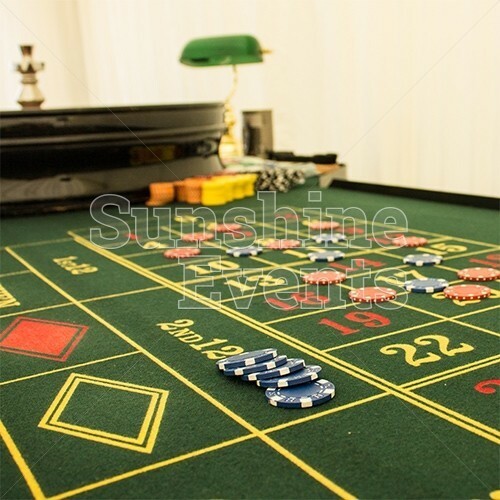 Depending on where you placed your chips on on the betting table you could find you’re either the big winner or a unfortunate loser. 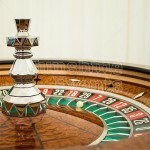 Hopefully it doesn’t land on zero, when no-one wins! Players can either be handed a number of chips when they they approach the table or be given funny money beforehand, which can then be exchanged for the chips. 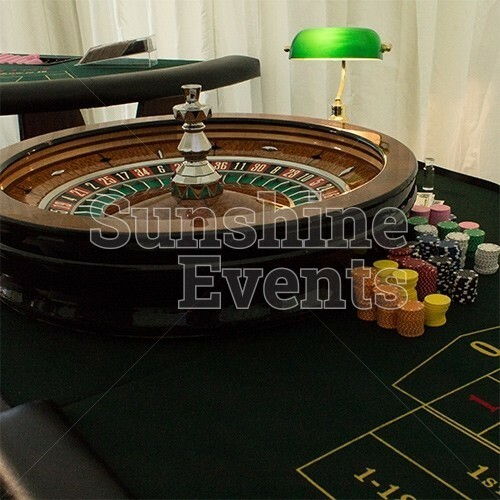 The chips are then used to play the game as they place their desired wager on the Roulette Table against the numbers of colours they hope will come up. 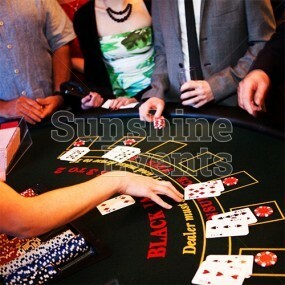 The games ends when the player decides, either after losing all their chips or by cashing out with funny money again. Like the Blackjack Casino Table Hire, an overall winner can be determined by finding out who has the most funny money or chips remaining at the end of play. 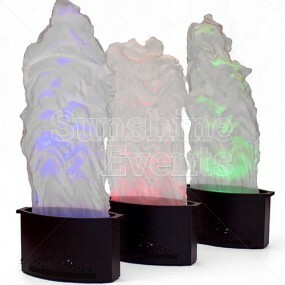 Then you can hand the complimentary bottle of bubbly out as they enjoy their victory! 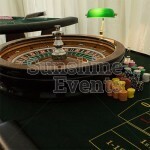 What events are the Roulette Casino Table Hire suitable for? 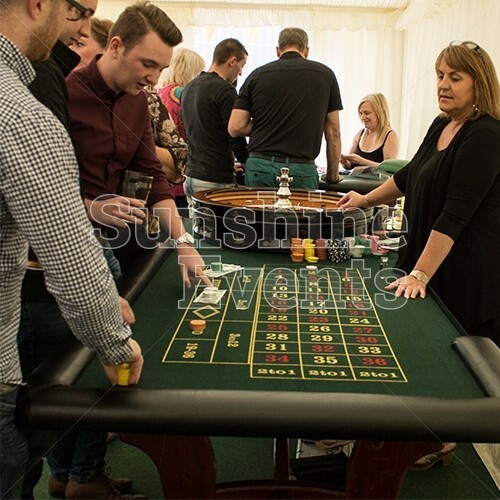 The fully interactive nature of the Roulette Casino Table Hire make it inexhaustible fun for everyone involved, both gamblers and spectators alike. 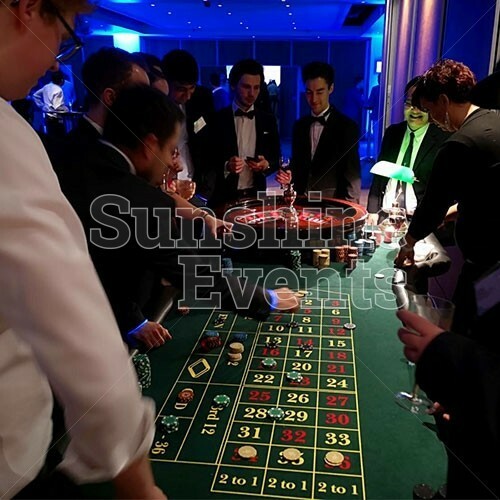 Get a taste of the ‘edge of your seat’ excitement that is found in casinos all over the world and maybe your event will be the one that everyone remembers! 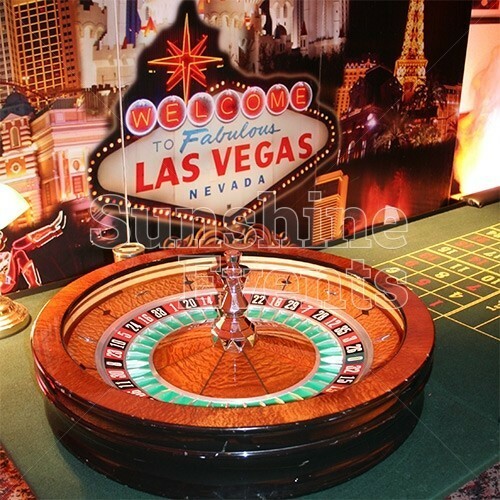 Las Vegas Theming - with a fantastic backdrop featuring the famous Las Vegas sign, red carpets, lights and more, we have the perfect selection of theming to upgrade your package. 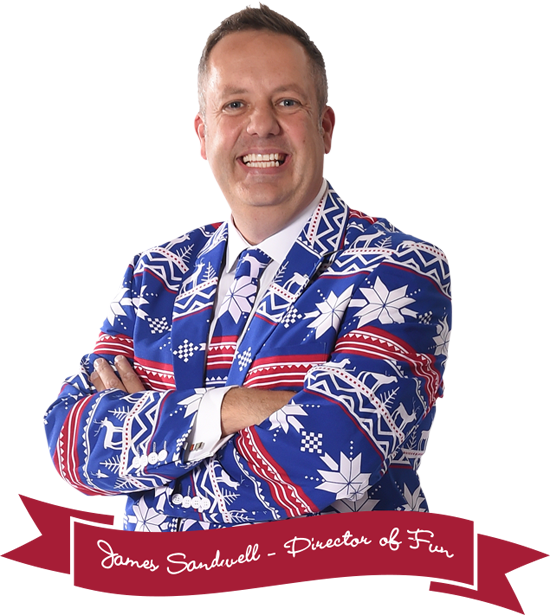 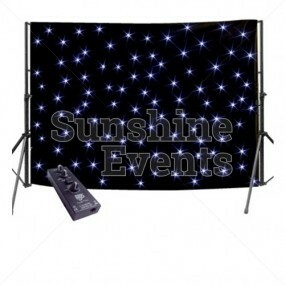 When speaking to the Fun Experts about your hire, just ask how you can upgrade your package and bring more glitz to your event. 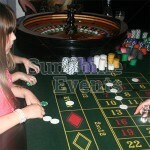 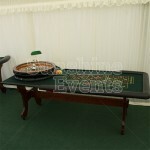 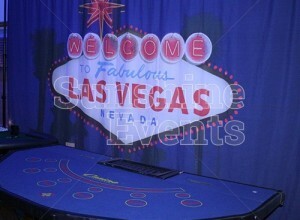 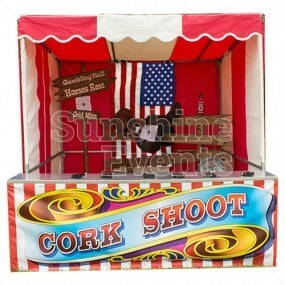 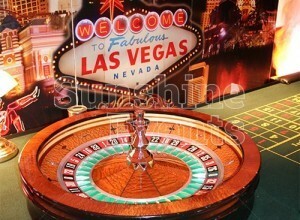 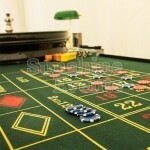 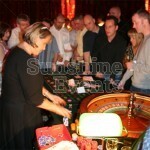 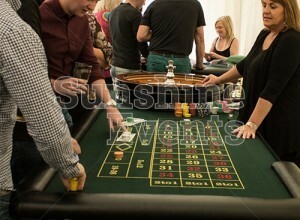 Roulette Casino Table Hire has been added to your Event Quote.